Shoes fit little smaller, so make sure to order a half size bigger. Umbro’s Neptune stays closest to its original silhouette and includes retro coloured lace hooks, mesh details and a new contemporised chunky sole unit. Available with red, yellow, blue and grey highlights, the sneakers also feature a heavy logo pres- ence with an oversized black diamond logo set against a white outsole. 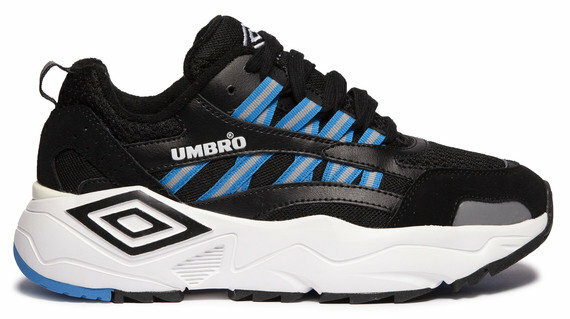 The Umbro logo is also emblazoned across the sides of each shoe while the black tongue features an embroidered white logo.